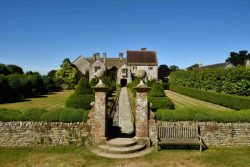 VISITORS to the National Trust’s Lytes Cary Manor near Somerton get a taste of Tudor living and 20th century gardening style following a winter of conservation and restoration work. Changes in the Arts and Crafts inspired garden include the renovation and re-emergence of the pond, one of the original features of the garden introduced by the Jenner family. Until recently it was completely encircled by Euonymus japonicas, a hedge planted by the Chittenden family when they lived at the Manor as tenants in the latter half of the 20th century. Visitors may see some of the ongoing work, as the gardeners add loam, lay turf and completely clean the pond. Once finished, the water quality of the pond will be significantly improved, as cuttings from the hedge and debris fell into the water changing the nitrate levels. 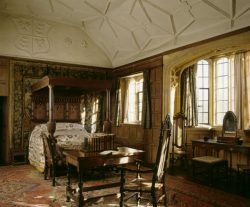 Inside the Manor, the winter conservation work included a careful cleaning of all the tapestries, something which is done every four years. Some of this work is continuing after the spring reopening, and visitors can find out more about cleaning books and ceramics, condition reports on collection items and marking items with inventory numbers. There are daily tours for visitors to learn about the history of Lytes Cary, the people that lived there and how it is looked after today.